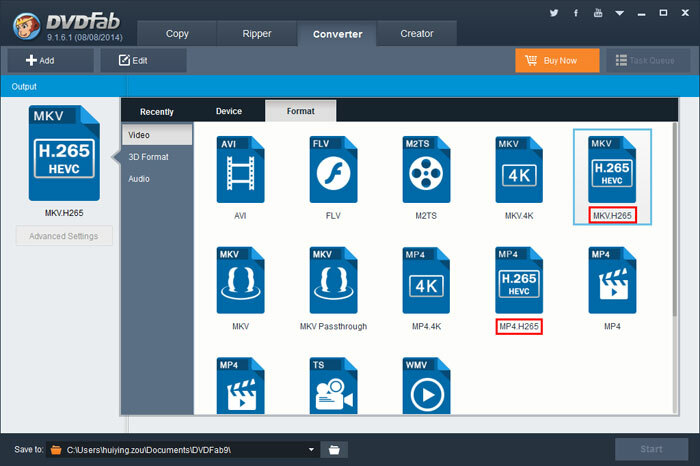 H.265, also known as High Efficiency Video Coding (HEVC), is the successor to H.264 or MPEG-4 AVC (Advanced Video Coding), one of the compression schemes used by Blu-ray. As a new codec technology and new video compression standard, H.265/HEVC can compress video files to the half size with the same video quality as the original. It can also improve the video quality at the same bit rate. If you have many regular videos in other formats, you can also convert them to H.265 videos and you can get much better video quality, and the file size is not large. Isn't cool? DVDFab is a powerful H.265 encoder, decoder and converter. It can help you deal with the above issues perfectly. 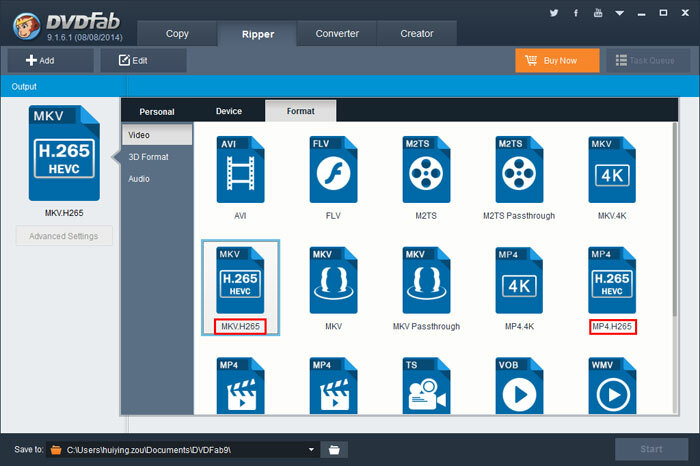 DVD Ripper and Blu-ray Ripper can rip and convert DVD/Blu-ray movies to H.265 videos; Video Converter can convert non-H.265 videos to H.265 videos, and vice versa. It's easy to use, and performs professionally. For DVD/Blu-ray to H.265 conversion, please choose Ripper option, then select an H.265 profile as follows. If you want to convert a non-H.265 video to H.265 encoded one, just choose the profile in Converter option. How to Play Back H.265 Encoded Videos? Next is a comparison of the video effect of H.265 and H.264 played by DVDFab Media Player, and you can clearly see which one is superior.